This dragon is at rest but its guard is not down. You can hear occasional growls and hisses as it coils its body in repose. It will only allow ashes from cigarettes/cigars near it to recharge itself for its next fireball. This Dragon Ashtray is made of polyresin, hand painted and polished individually. This Dragon Ashtray measures 3.25" Tall, 5 3/8" long and 5 1/8" wide approximately. 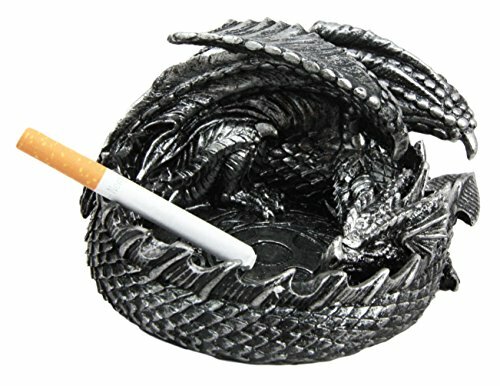 This Dragon Ashtray is an Atlantic Collectibles exclusive collection.